This year, I’ve been working on a lot of goals. Many of these goals need a lot of research to make the goals a reality. Not bad right? I filled up notebooks, created many Pinterest boards, and created Evernote stacks to keep it all (somewhat) organized. I ended up worse off than I was when I began. Something had to be done and it had to be done soon. 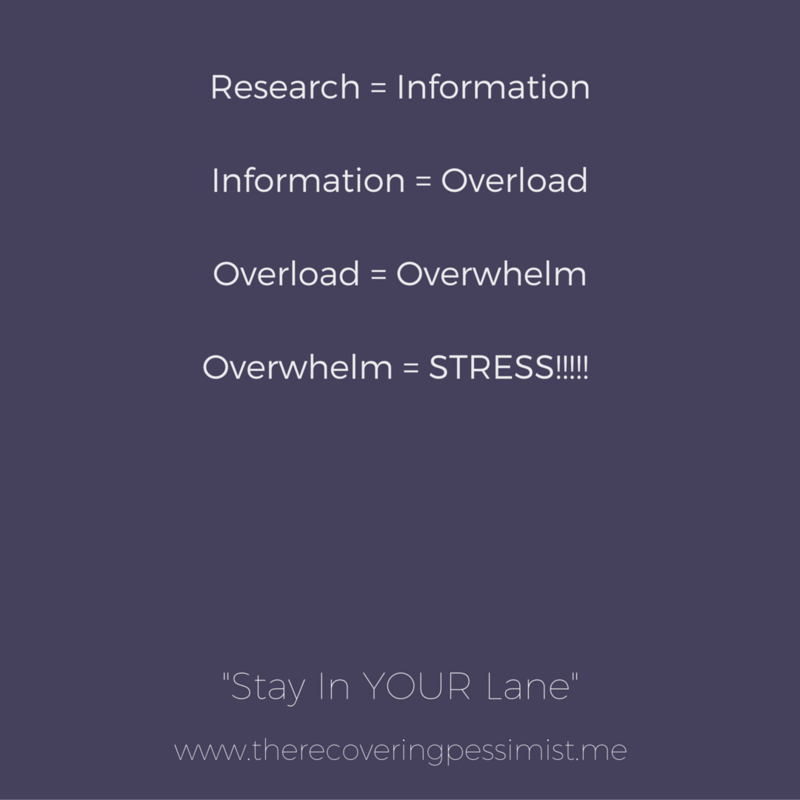 I needed to rid myself of the source(s) of my overwhelm/stress. It began with the newsletters. At one point, I had 15 newsletters subscriptions. Why? I subscribed to many of them after seeing a post that caught my eye on social media. I figured if one post was this good, why not subscribe for more posts like this? Some of the newsletters were too niche-based, which isn’t something that I can relate to. Others were aimed towards those who were at a different stage than I was. I ended up deleting more newsletters emails than I kept for future reference. No need to have my inbox clogged up by emails that aren’t useful. I went through my inbox and unsubscribed from about 55% of the newsletters. Not only is my inbox lighter but my nerves are much calmer. Everyone doesn’t belong in my inbox and that’s what let to the next step. I became more critical about the information I come across. Instead of subscribing to the newsletter and/or saving the information, I ask myself (sometimes several times) if this information is really useful to me? Once I applied these two steps to my inbox, I realized how these steps also relate to life. Sometimes you have to weed through all the noise that’s around you to get to what really matters to you.